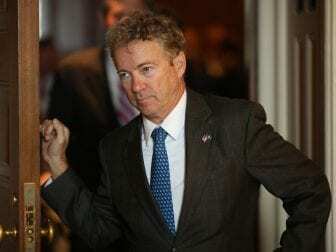 HARRISBURG, PA (WSKG) — Pennsylvania’s Health Secretary wants to make sure no one’s putting too much stock in Rand Paul’s opinions about vaccines. In a recent health committee hearing, the Republican US Senator from Kentucky said vaccines shouldn’t be mandatory, and suggested they give people a false sense of security. Flanked by pediatricians, she summed up what decades of peer-reviewed studies have shown: vaccines work, they provide herd immunity for those who can’t be vaccinated, and they’re safe for most people. 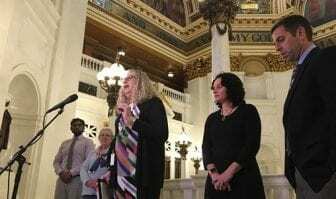 She added, Pennsylvania lets people opt out if they choose–though most schools require vaccines. “You can have a philosophical exemption or a religious exemption, but we do not find large groups, when we look statewide, that take advantage of that. It’s less than two percent,” she said. Levine said she hasn’t been aware of any opinions like Paul’s in the Pennsylvania legislature, and reported a good working relationship with state lawmakers on the issue. She said Pennsylvania has over a 96 percent childhood immunization rate for measles–one of the most common diseases vaccines keep at bay.